The Ex Scientologist: Can You Be A Christian Scientologist? Note: This is a must read for anyone who doesn't yet know that Hubbard was not only a pathological liar but completely nuts. This is Hubbard on religion. This is Hubbard the anti-Christian, because it is Christianity and no other religion that he vilifies with this insane "technology." Contrary to what you may have been told by a Scientologist, the answer is no. Scientologists, especially those that deal with new people being introduced to Scientology, are trained to tell you that Scientology embraces all religions and that as Scientology does not deal with God directly, through it's practical philosophy leads a person into a better relationship with their own God reality. Not only misleading, but an outright lie. Unlike religions with Judeo-Christian origins, the Church of Scientology has no set dogma concerning God that it imposes on its members. As with all its tenets, Scientology does not ask individuals to accept anything on faith alone. 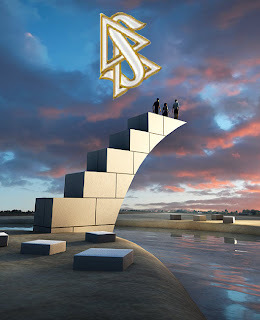 Rather, as one’s level of spiritual awareness increases through participation in Scientology auditing and training, one attains his own certainty of every dynamic. Accordingly, only when the Seventh Dynamic (spiritual) is reached in its entirety will one discover and come to a full understanding of the Eighth Dynamic (God or infinity) and one’s relationship to the Supreme Being. "This is Hubbard the stark raving mad "scientist" assuring us suckers that this bulletin "is based on over a thousand hours of research auditing." It's "scientific research," he says, "not in any way based upon the mere opinion of the researcher." And he certifies that the rest of "Scientology data reflects long, arduous and painstaking research over a period of some thirty years. The Scientology cult promotes that it is compatible with Christianity. That's why they keep this bulletin secret. Scientology is compatible with Christianity as lies are compatible with truth, as hate is compatible with love, as death is compatible with life. Scientology is lies, hate and death. You don't believe the above? I will let you read some from Hubbard while he kicks the belief system of Christians. You can make up your own mind. HEAVEN Well, I have been to Heaven. And I've found that Scientologists have been to Heaven. And that everybody has evidently been to Heaven. The Goals Problem Mass implants, which are the apparent basic source of aberration and human travail, which begin with the goal To Forget, were cynically done "in Heaven". For a long time, people have been cross with me for my lack of co-operation in believing in a Christian Heaven, God and Christ. I have never said I didn't disbelieve in a Big Thetan but there was certainly something very corny about Heaven et al. Now I have to apologize. There was a Heaven. Not too unlike, in cruel betrayal, the heaven of the Assassins in the 12th Century who, like everyone else, dramatized the whole track implants - if a bit more so. Yes, I've been to Heaven. And so have you. And you have the pattern of its implants in the HCO Bulletin Line Plots. It was complete with gates, angels and plaster saints - and electronic implantation equipment. So there was a Heaven after all - which is why you are on this planet and were condemned never to be free again - until Scientology. The symbol of the crucified Christ is very apt indeed. It's the symbol of a thetan betrayed. The implants are electronic in nature and follow the pattern of the G.P.M. The implant station existed on the order of magnitude of 43,000,000,000,000 years ago. (The dates may be part of the implants but do not appear so at this stage. However, a possibility of correction of dates is reserved). Some have been through it once, some more than once. The first time I arrived and the moment of the implant To Forget was dated at 43,891,832,611,177 years, 344 days, 10 hours, 20 minutes and 40 seconds from 10:02½ PM Daylight Greenwich Time May 9, 1963. The second series was dated to the moment of the implant To Forget as 42,681,459,477,315 years, 132 days, 18 hours, 20 minutes and 15 seconds from 11:02½ PM Daylight Greenwich Time May 9, 1963. There are no earlier such implants. There are no later such implants. I evidentally have a goal of my own at 305 Trillion (U.S.) years and an actual GPM, all of which pulled into this 43 Trillion year implant. ADDITIONAL E-METER DATA Five goals in all may be common to both sequences. The first 3 of the 5 are the same. There are no implants as to time according to the meter. There are numbers in any implants, but dates rocket read. Implanting was done on a non-visible thetan, but arrival was in a ship in a doll body accoding to the meter. Star of Bethlehem, Pearly Gates, The Way out of the Universe, all of which RR on the meter, give a clue to recruitment actions. There was no purpose in giving a particular thetan a particular goal. Planning had no individualization. A preclear's overts should be scouted as to why these implants keyed in, Fac 1, hypnotism, etc. But doubtful if any preclear did this type of implanting. The mood is set that thetans are evil, treacherous and bad but this is all part of the implant, not factual. The earliest point of the series is not known at this writing but possibly contains a recruitment through advertising. The departure point from the series is not fully known yet but probably just abandonment. The implants were not done in a box or in some trick manner of projection. The scenery is actually there, common Mest Universe, space and matter and in the Mest Universe. The first (43 Trillion) series consists of 29 implanted goals. The second (42 Trillion) series consists of 21 implanted goals. The first three goals in both series are the same, To Forget, To Remember and To Go Away. The last goal and one other in both series are the same. The remaining goals are not the same for the two implants. PERSONALLY PERCEIVED DATA The pattern of RIs is different for the two series, consisting in the second series of added RIs below the To Have a Goal-ivity and with a different dwindling of adjectives and adverbs, but are otherwise similar. Both series have the Gates of Heaven visible. The last implant of both consists of "entering" Heaven. The last goal of both is To Be In Heaven. The gates of the first series are well done, well built. An avenue of statues of saints leads up to them. The gate pillars are surmounted by marble angels. The entering grounds are very well kept, laid out like Bush Gardens in Pasadena, so often seen in the movies. Aside from the implant boxes which lie across from each other on the walk there are other noises and sounds as though the saints are defending and berating. These are unimportant to the incident. The second series, probably in the same place, shows what a trillion years of overt acts does (or is an additional trickery to collapse one's time). The place is shabby. The vegatation is gone. The pillars are scruffy. The saints have vanished. So have the Angels. A sign on one (the left as you "enter") says "This is Heaven". The right has a sign "Hell" with an arrow and inside the grounds one can see the excavations like archaeological diggings with raw terraces, that lead to "Hell". Plain wire fencing encloses the place. There is a sentry box beside and outside the right pillar. The road "leading up" to the gates is deeply eroded. An effigy of Joseph, complete with desert clothing, is seen approaching the gates (but not moving) leading a donkey which "carries" the original Madonna and child from "Bethlehem". The implanting boxes lie on either side of this "entering" path at path level. These are the actual ends of the two series. One backs out the gates, of course, from top oppterm down, as this is the end. The last two RIs after this last goal say "it is the beginning", "Not the end". The place, by implant and inference, was supposed to be in the sky like a floating island. Actually it was simply a high place in the mountains of a planet and the gates pathway falls away into a gorge, very eroded and bare by the time of the second implant, but heavily forested and rolling at the time of the first. The beginnings have not at this writing been so well explored by myself. I have not viewed the second beginning (which says it is the end). However I do know that the second series was done in long square tunnels with the implant boxes, not unlike small P.A. speakers with fretwork fronts, on either side. The first series actually begins with arrival in a "town" (as everything is backwards to upset the time sense). This "town" consisted of a trolley bus, some building fronts, sidewalks, train tracks, a boarding house, a bistro in a basement where there is a "bulletin board" well lighted, and a BANK BUILDING. The bank is the key point of interest. It is interesting that we use the work "bank" (taken actually from computerology) to indicate the reactive mind. This bank building was the on-the-corner old-fashioned granite-like construction, two or three stories high, with the door in the rounded front - even a revolving type door. Inside to the left of the entrance door is a rounded counter. Directly across the room are THE stairs. The top oppterm and terminal of To Forget are at the top of these stairs. The implant then proceeds on down the stairs, step by step, terminals on one side (the left if one were coming up the stairs) the oppterms on the other. The first series (43 Trillion) has all its implant impulses at step level. In the second series the boxes are ear high to a man. By the time the gates are arrived at in the first series, the terminals are on the left as you approach the gates, the oppterms on the right, having been reversed at some point. The first (43 Trillion) series had very fine marble stairs. The same stairs can be seen in any big well kept railway station. They were complete with a white ball held in a wrought iron stand. The thetan was taken along apparently on a pole trap to which he was stuck. It does not proceed step by step throughout the whole of the implant series, but after the first flight of stairs, goes a ways, stops while several pairs of RIs fire then goes to a new location. The place seemed to have people in it. But they are all effigies. These seem radioactive. Contact with them hurts. No living beings. But effigies that look like humans are performing sudden, repetitive actions with long halts between. In the "basement" such dummies are seen operating machinery. The boarding house at the actual beginning has a dummy guest and a landlady in kimono and wrappers, reading a newspaper. There are no devils or satans that I saw. There is a passenger getting on the trolley bus, a "workman" halfway down the first stairs of To Forget "eating lunch" and in To Be in Heaven a gardener or electrician adjusting an implant box behind a hedge and periodically leaping up and screaming. The place, so long as the implants remain only partially discharged, seems to swim in while and black electronic masses, but these dissipate as the implants are run out by pattern. One actually "enters" the "town" as the first action. The implants, however, were rigged to make the gates seem the entrance to the incident. One backs through from the town, into the bank, down the steps and eventually out the Pearly Gates, down the hillside and is there let off and abandoned. One might have had a body or its remains at the town but has none when abandoned. "TO BE IN HEAVEN" is the last goal implanted in both series. The goal may be slightly differently worded in the second series. This is not a body building implant, though running it gives somatics to chest. This is not a GE implant. It is the person's own. Running it, particularly badly, brings it down on the body. There are body somatics on it, however, particularly eyes, face, chest, bones. It apparently only can be run by 3M listing and Rocket Reads. One must have the goal to get the RIs. CONCLUSIONS The place is so full of lies by implant that the preclear becomes quite confused and this review of the actual data is necessary to a successful navigation. However, it is very easy to read more treachery into it than there is in it - which is enough. However, as the place existed so long it was in a varying state of repair and some change. (This data on time is subject to review). But in 1.2 Trillion years only some of the implant pattern and mock up had shifted. However, there may have been other stations. Only time and research will really tell that. One must date the preclear's first (earliest) goal to forget, find out how many times the preclear went through it, or some such implant station, date the other times and be careful to run only the first of the first series. As this is basic, as in Prepchecking, Sec Checking and old engram running, it tends to ease up the remainder of the implants. But running the implants later than basic is very much harder on the pc even though it can be done. Wherever one misses an RI in an early implant, that repeated RI when found in a later one tends to be very much more heavily charged. Re-running any implant that has only been partially run tends to rough up the whole implant and make it hard to run. LUCK I think we are lucky. It could have been much worse. This Heavenly dream of destruction could have been current, not so long ago. It could have happened often, not just once or twice or three times per pc. But apparently it didn't and is unique in itself. This is the core of the Reactive Mind. It is all the way South. For here, just once on the whole track, somebody discovered the mechanism of purposes and RIs and utilized them to install religious mania and pin thetans down to "one life" and planets. The thing was done so well that it has hung up ever since. There are other implants, there are other goals and GPMs, but these are minor and easily found and listed once this key implant series is out of the way. We were in a position of having an infinite number of pieces to the puzzle. Now we have a finite number which even though very tough are still finite in number. Further, every processing step taken, every RI discharged is a positive gain toward a definite finite result in processing. Further, we have our hands on an apalling piece of technology where the world is concerned. With rapidity and a Mater it can be shown that Heaven is a false dream and that the old religion was based on a very painful lie, a cynical betrayal. What does this do to any religious nature of Scientology? It strengthens it. New religions always overthrow the false gods of the old, they do something to strengthen man. We can improve man. We can show the old gods false. And we can open up the universe as a happier place in which a spirit may dwell. What more can you expect? This actually places us far beyond any other beings that are about. It puts us, through increased beingness and a restoration of life, in control of much destiny. We have now only a few unsolved problems about life, huge though they may be, such as the construction of bodies and how does one establish the character of and communicate, if feasible, with beings who are making trees and insects. There are a few things like these. But I imagine when we finally manage to communicate with beetle under rocks and free them, we'll no doubt find the Creator of Heaven who 43 + Trillion years ago designed and built the Pearly Gates and entrapped us all. (Note: This HCO Bulletin is based on over a thousand hours of research auditing, analyzing the facsimiles of the reactive mind, and with the help of a Mark V Electrometer. It is scientific research and is not in any way based upon the mere opinion of the researcher. This HCO Bulletin is not the result of the belief or beliefs of anyone. Scientology data reflects long, arduous and painstaking research over a period of some thirty years into the nature of Man, the mind, the human spirit and its relationship to the physical universe. The data and phenomena discovered in Scientology is common to all minds and all men and can be demonstrated on anyone. Truth does not require belief to be truth any more than water requires anyone's permission to run down hill. The data is itself and can be duplicated by any honest researcher or practitioner. We in Scientology seek freedom, the betterment of Man, and the happiness of the individual and this comprises our attitude towards the data found. The data, however, is simply itself, and exists whatever the opinion of anyone may be. The contents of this HCO Bulletin discover the apparent underlying impulses of religious zealotism and the source of the religious mania and insanity which terrorized Earth over the ages and has given religion the appearance of insanity. As the paper is written for my friends it has, of course, a semblance of irreverence). (Note: All our data on the whole track remains factual and is not taken from any implant. The only data released earlier was the time factors involved in GPMs). - Goals-Problem-Mass. 4. the problem created by two or more opposing ideas which being opposed, balanced, and unresolved, make a mass. It’s a mental energy mass. Maybe this is old news for you, maybe you have learned something today. I hope this series is helping someone learn the truth about Scientology. Thanks for dropping by today. If you see any value in these posts, please pass them around. Stay tuned for more. Excellent overview Robert of the quintessential proof that debunks the false claim by the Church of Scientology that they compatible with other mainstream belief systems. Thank you so much for your comment, and your link.